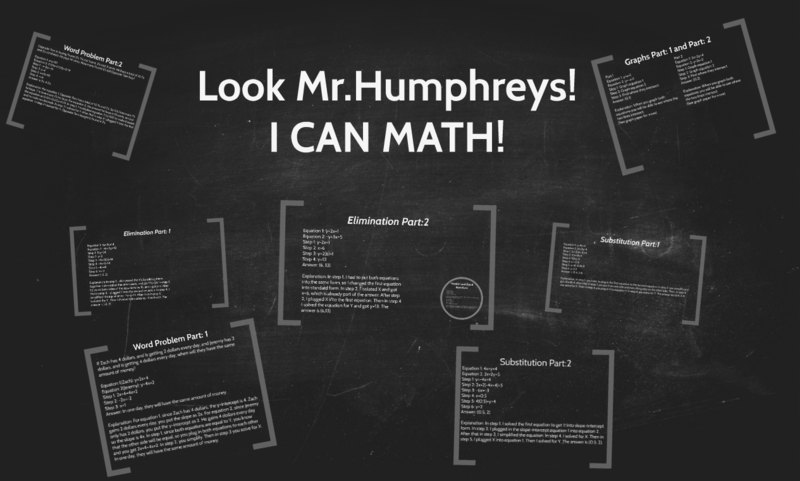 Giving students the choice to improve their own learning while they assess themselves. The focus of my school year was to give my students choice. 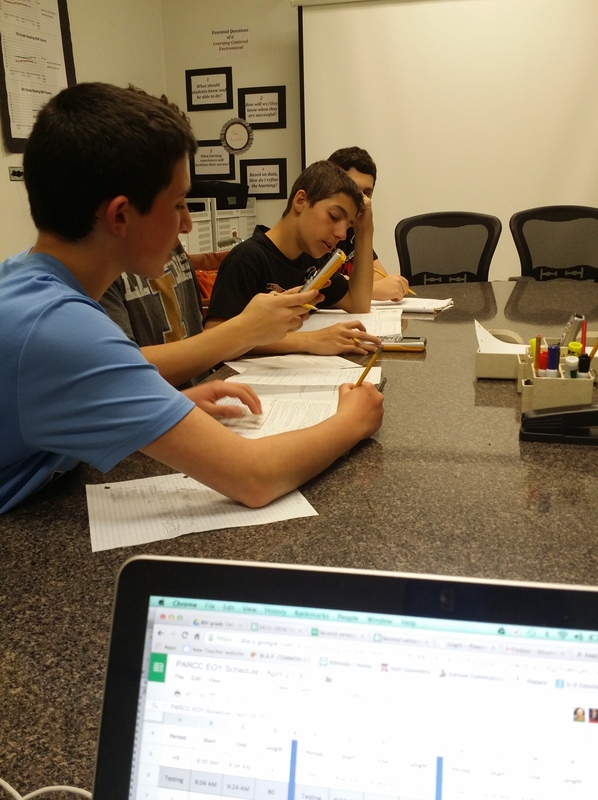 I wanted them to take control of their learning by making decisions that would impact their own learning while also holding extremely high standards for them. I had already implemented the flipped classroom which was modified throughout the year. They rely on each other to work through problems rather than coming to me first. I love to sit back and watch them work through thoughtful problems while I am the one that asks them questions. Last week, I was on a conference call and was out of my classroom but in the school. My students asked if they could work in the conference room with me. I surely couldn’t pass that up! I watched as they worked diligently with each other. I rarely interrupted them and if I did, it was asking, “why?” or “how?” to give me that deeper understanding. At the beginning of the school year, it took a few weeks to train my students on what was expected. 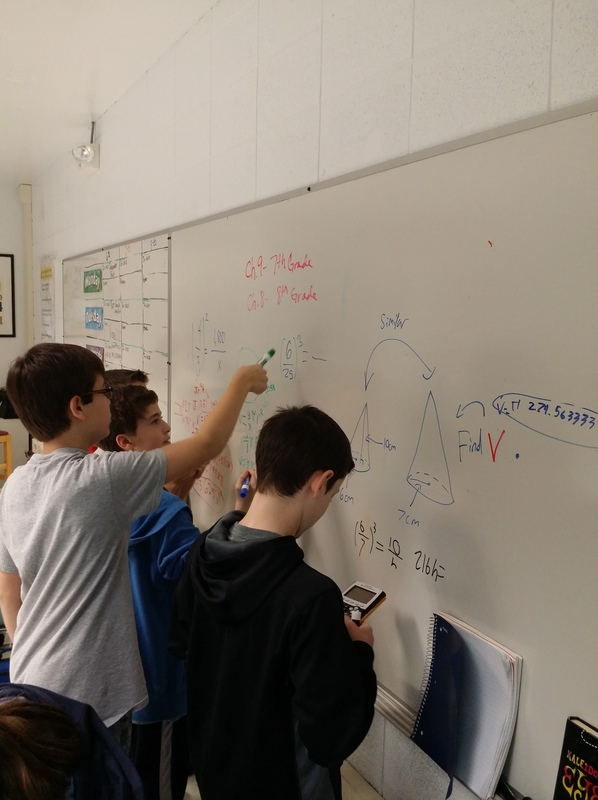 They didn’t know how to respond when I told them they had the entire period to work on what they needed to work on to understand the concept they were working on. I was persistent though. That is one characteristic I would tell any teacher – Don’t give up! Keep pushing the kids to work harder and smarter. Something I did this year that was new for me was how students reviewed for an assessment. For many years, the day before a test, I would give a review assignment to help them study. This year I wondered why I was giving a review assignment since some kids didn’t need help on certain standards and others did. Why would I make one student do 4 problems on concepts they already mastered when they should be practicing other standards? Then it made sense! Let them choose what they should study. Fast forward to earlier this week and this is what I now see…. 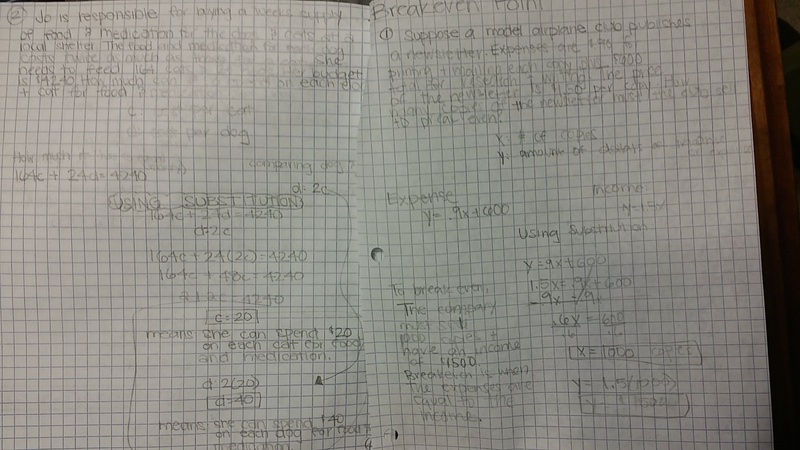 students who are creating problems for each other on the concepts that they choose to work on and practice. Again, I don’t tell them they have to do this, they just do. Once again, why should I be the one that mandates how they should review!? My entire mindset has changed on how I approach my classroom. My classroom is ever changing and still growing. How can I constantly put less emphasis on me and more emphasis on them? 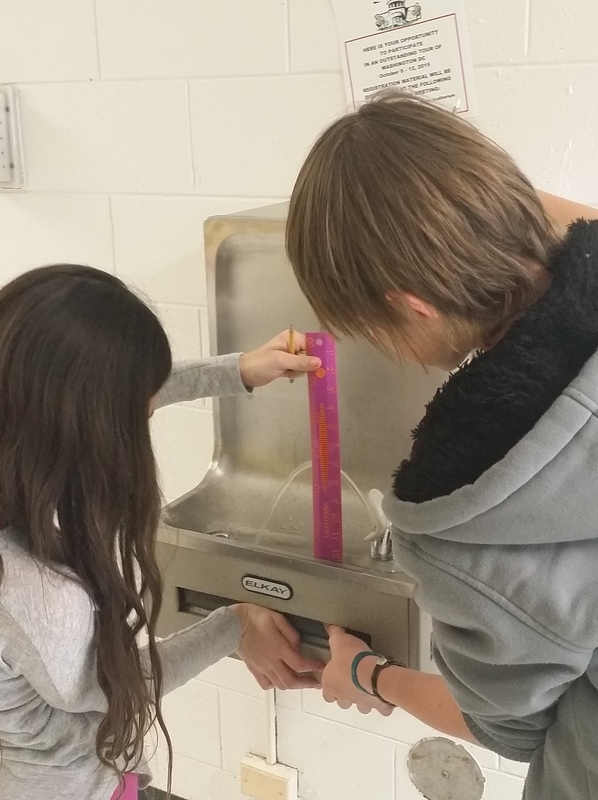 Sixth graders are choosing trig ratios, quadratic equations…concepts that are clearly high school level standards. I am in awe and so proud of them. I am giving them complete control in their design. 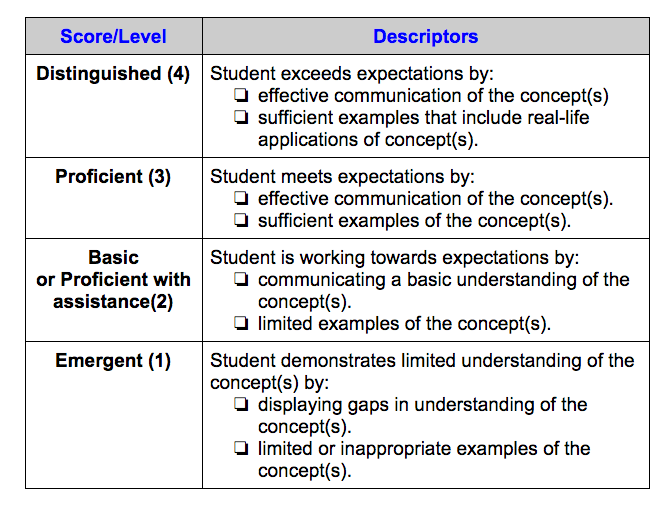 Here is the rubric they have and what they do with it is completely up to them. So after my conversation today, it made me realize that once you really embrace the standards-based learning in your classroom, then standards-based grading should be no big deal. I’m still nervous about it but much less so. 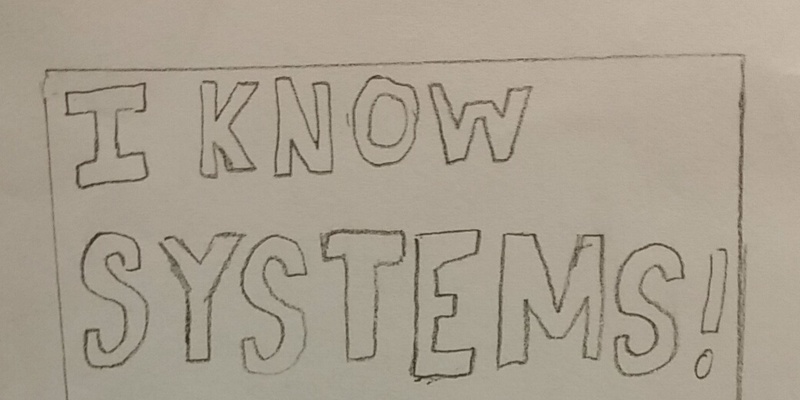 Letting my students discover things on their own is the best gift that I can give them. Since my last blogpost, I handed back my assessments with no grades. Students tried to decode the wonderful stamps at the top with no luck. What happened? The world didn’t end and students read the feedback. They corrected their mistakes and I scored them. It was great. If you don’t know much about statistics, an outlier is a number that is set apart from the rest. In this particular set of data, there were numerous assessment scores and one score was 43%, a very low score compared to the rest of the scores. I was thrilled. Was it really that mindshift I was hoping of? Was this an indication that students looked at themselves as the pivotal aspect of their education? I sure hope this was an indication. You see, the students feel it is their responsibility. They have the ownership over their education. Not me. Why should I get in the way? I present the material and let them have it. Frogs, Strawberries, and Bees. Oh My! Yes. You are seeing that correctly. 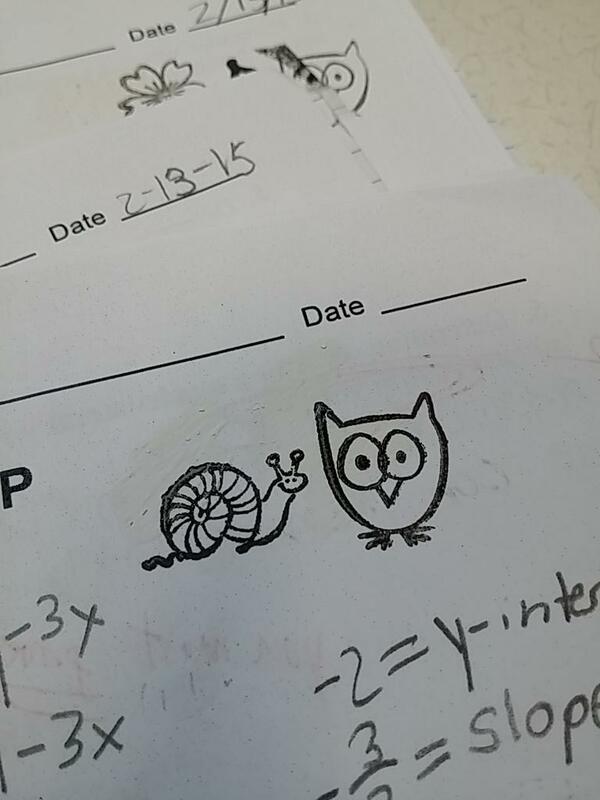 There is no grade but only a snail and an owl. I can see it now. “Mom, look what I got on my math test!!! I got a snail-owl” Honestly , I am still quite uncomfortable with this idea of not putting a grade at the top of a paper but, to be honest, it was fun putting random stamps at the top. So how did the day transpire? Let me explain. If you’ve read my other posts, you know that I am always trying to make my classroom a better place. I love trying new things. I am currently in the process of making the shift to standards-based grading. On all assessments, I give plenty of feedback. I ask questions, indicate points of improvement that can be made and often hope students read that feedback to improve their learning. I also grade using a rubric. All of my questions have different point values in which students earn points based on what they can show/prove to me. I’m a stickler when it comes to grading. I want quality work. I am definitely almost there with standards-based grading, however, when I grade a math assessment I do the same thing I’ve always done. I write the number of points a student misses next to the question. For example, if a student makes a minor error I put a “-1” next to the problem along with the feedback. In addition at the top of the page you will see the total number of points missed and the total points earned. A “-4” and a “26/30” would be at the top. This has been my largest obstacle. How will this look with standards-based grading (SBG)? What do I put at the top? 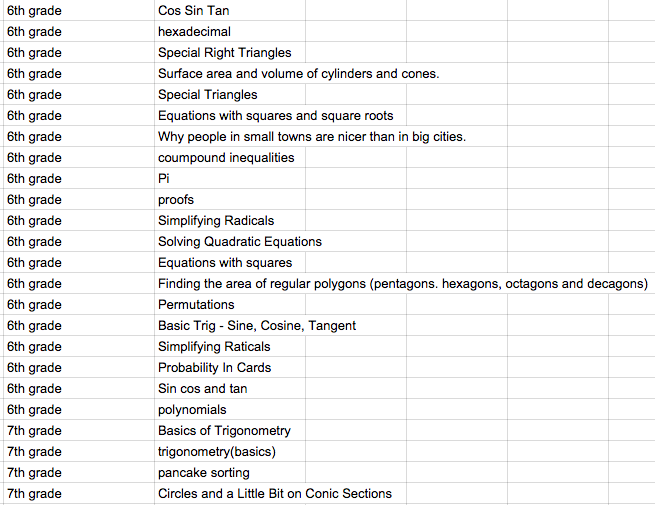 How do I grade each question? Last week, after a quiz, my colleague and I were talking about SBG and as class was over a student, who received an A on her quiz, was packing up. My colleague asked this student, “What you do think about the feedback Mr. Humphreys puts on your assessments.” The student replies, “What feedback?” There you have it. Blatant as can be. She was so focused on the grades and point values that she never really saw the feedback. All of this time I spent putting feedback on assessments only to find out that it is completely ignored because of letter grade? What? Today I was grading tests from another class and in walks another colleague. She teaches science and has fully implemented SBG. While I am grading, she plops down a jar of stamps. These aren’t teacher stamps that say, “Good job” or “A+.” Nope. Nothing like that. These are kindergarten stamps in the shapes of happy animals like a smiling turtle or a happy elephant. No joke. These are stamps made for kids that have a maximum age of 4. She says to me, “You can’t put any point values on your tests. None. Just feedback and only a stamp.” Of course I wined and pouted. I liked my point value system. I mean I WAS using a rubric. So off I go. I didn’t put a single number or point(s) missed and went through each test grading it like normal and leaving feedback as I always do. I finished “grading” them so now it was time for these stamps but I had a brilliant idea. I was going to code these stamps. A strawberry was going to be an “A.” An owl was going to be a “B” and so on. I had a perfect system in place so I knew what the grade was. In walks my colleague and she says, “How’s it going?” I of course said, “Great!” to which she replies, “You aren’t coding them are you?” Darn it!? What? So she spent the next few minutes putting multiple stamps at the top of each test so there would be no coding. Of course the students are going to try and figure out what these strange stamps mean by comparing to each other had I actually gotten away with my scheme. So tomorrow I will hand back the tests only with feedback and the lovely stamps at the top so students can reassess and make corrections. No grades, no distractions…only feedback and students worrying about the standards, not the grade. Stay tuned on what happens after tomorrow (and I secretly have to admit I liked the stamps). The infamous, “I can” statement. So little, so powerful and so much fun. Throughout my teaching career I often thought of things I could do but talked myself out of it making excuses and eventually saying, “I can’t.” But over the last few months, the tides are changing and so are my discoveries. I have given my class to the kids. It is theirs and all theirs. I refuse to tell myself that I can’t do something because everything my students have achieved has come from an idea that I knew I could try out in the classroom. 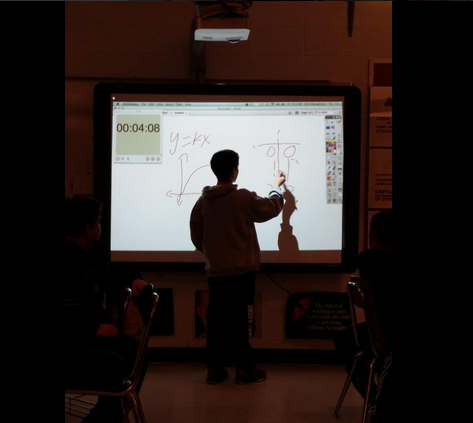 Currently in my flipped classroom at the beginning of class, I call a student up to the board and with no direction I let them begin. I watch in silence as they take that pen and take what they learned from the previous night’s video and explain it. I watch as they call on each other. I watch as they fix their mistakes. I watch as they give guidance to their classmates. I watch as they teach and to emphasize the point, I watch as I say nothing. That’s right. I don’t get in the way. I watch as they take the concepts farther than I ever would have imagined if I was at the board reviewing concepts with them. To say that I am immensely proud of them is an understatement. So you think I would be content. But you thought wrong. That was all I said. One sentence. I had planned for one day for students to do this but ended up taking two. What once would have caused me to have a mild stroke by “wasting” a day and getting me off my pacing guide now didn’t bother me. On Wednesday when they came in, this is what they turned in in response to what I sent them. An entire PREZI over systems. WHAT?! Excuse me as I pick my mouth up off the floor from shock and excitement. How dare I think about giving a quiz when THIS is what they turn in instead. I now realized that the biggest road block between a student and greatness in education can be the teacher but when you let students have freedom and you let them discover then the biggest encourager and instigator in a child’s education can be the teacher.